VeriScan Online gives you complete control of your premises while providing detailed insight about your customers. Scan and verify age for all US and Canadian IDs (driver's licenses, military IDs, vehicle permits) using the camera of your phone or external hardware. Generate reports and view real-time data about your customers including their gender, age, and zip code by logging onto our VS Online web portal. Create custom groups such as VIP or Banned and instantly receive SMS or email notifications when a VIP or Banned guest enters your establishment. Share customer lists across multiple locations to prevent the 1% of customers who cause 99% of the problems from entering your premises. We understand every business has different needs. Our pricing structure allows you to choose the plan that works best for you. Offline capabilities. Scan IDs without internet connection. Display custom Agreement and capture signature with capability to print the document. Proprietary databases compiled from multiple sources consisting of court records, incarceration records, prison/inmate records, probation/parole/release information, arrest data, wants and warrants and/or other proprietary sources. Searchable database of currently registered sexual offenders in existence. 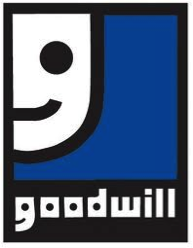 Our information only comes from state registries, and is updated multiple times a day, ensuring you have the most accurate and up to date information. VeriScan Online syncs your desktop, tablet, and mobile apps to keep everything electronically organized. Our VeriScan Online Desktop solution is our most robust system. 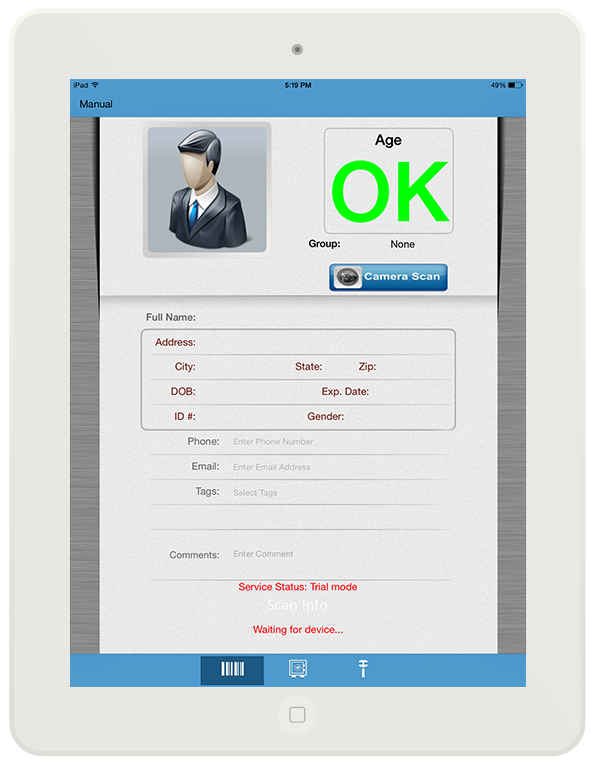 It is an all-in-one visitor management, access control, and membership enrollment platform. 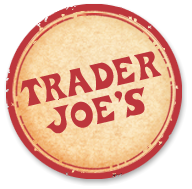 Use an iPad to scan IDs and quickly collect customer information. The tablet ID scanning solution is perfect for anyone who likes a larger and more durable device. Connect your mobile Apple device to the VeriScan Online cloud. Scan IDs using your iPod or iPhone. What platforms does VeriScan support? 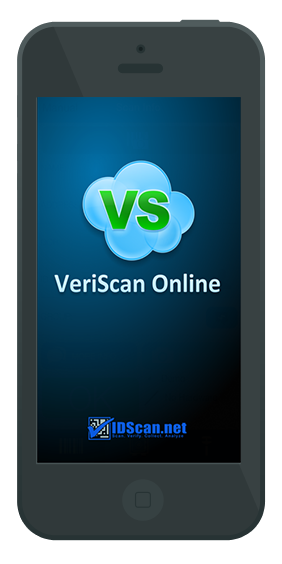 VeriScan Online supports Windows, iOS and Android platforms. Is the monthly fee per device? Yes, the monthly fee is per device. If you order a large quantity of subscriptions, please call us for a discount. We are very serious about data privacy and security. Our databases are completely encrypted and hosted by Rackspace and Microsoft. No one can access your data except you. What do I do after my trial period ends? After your trial period ends, you will have to purchase a VeriScan Online subscription. You can purchase a subscription online or by giving us a call at 1-888-430-8936. 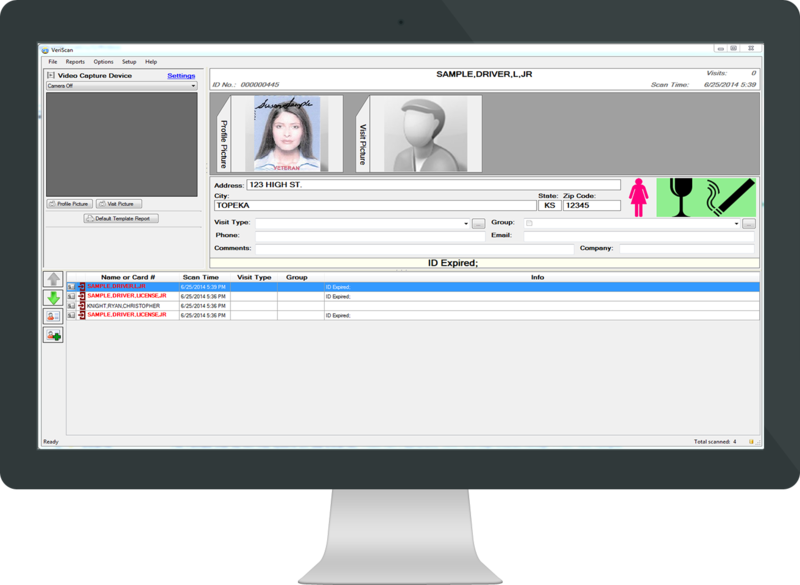 IDScan.net provides ID scanning solutions for access control, age verification, visitor management, and CRM software. 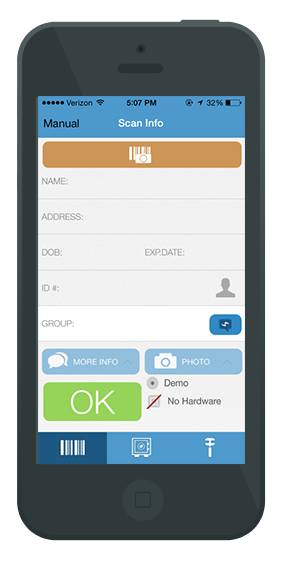 We have 10+ years of experience and are the pioneers of ID scanning for mobile devices.